Another short one this week, writing just before I head off to the cinemas to watch Gone Girl. I’ve read the book, so ready to be suitably disappointed. Spoiler alert: aliens took her! Update-from-after-the-movie: Fairly satisfying movie to be honest, true to the book, but perhaps a bit boring if you already know what happens. Want to work for the FBI? If you do, then you’d better stop pirating episodes of Game of Thrones. Those applying to become FBI interns have always had to be squeaky clean in terms of drug use and criminal activities, something that seems fairly obvious. 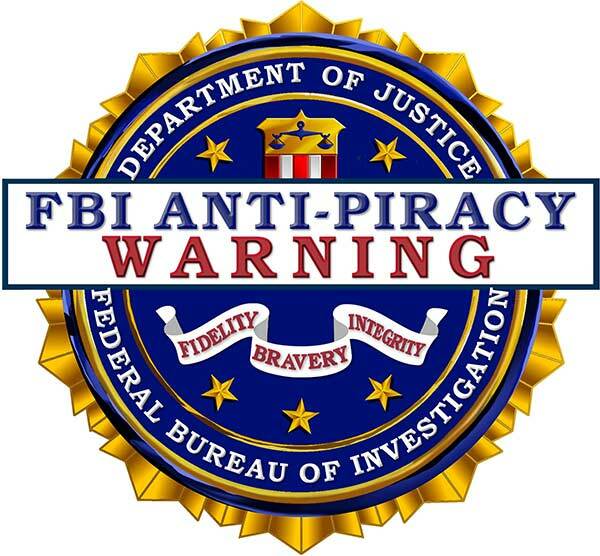 But a recently added rule means that those wanting to be a G-Man or G-Woman will also have to prove they’ve never downloaded pirated content, or at least haven’t been caught doing so. Responses from potential applicants are also subject to a lie detector test, and so those that choose to lie about downloading The Sopranos and get caught could find themselves being viewed just as unfavorably by the FBI as Tony S! Or at the very least barred from ever joining the FBI. You’ve been warned. Another warning, this time for those in the industry using piracy download stats to calculate losses: don’t do it! New research conducted by the APAS Laboratory shows that the way downloaders choose what CAM releases to download is very different to how people choose what movie to go and watch at the cinemas. It seems downloaders of CAM releases simply choose whichever one is most visible, and their choice has very little to do with the movie’s popularity or review ratings, which is traditionally how those paying for a ticket make their choice. The paper concludes that because of this key difference, it would be very difficult to find any correlation between the number of pirated CAM downloads and potential losses at the box office because of the different method people use to choose a download/movie. It could be that people simply choose to download whatever is available, perhaps even deliberately downloading something they would otherwise not pay for, rather than choosing the one they most want to watch. This perhaps explains why clamping down on piracy and even reducing the pirate rate doesn’t seem to have much of an effect on the box office! Will Amazon join the UltraViolet alliance? UltraViolet and Amazon may be joining forces in a move that will surely shake up the digital video industry. Industry sources say DECE, the group managing UltraViolet and Amazon are in deep discussions over Amazon becoming an UltraViolet provider. What this means that in the future, you may be able to redeem your UltraViolet digital copies on Amazon, and that your existing UV collection may become accessible on Amazon’s instant video platform as well. This won’t solve the issue where you have to counter-intuitively create two separate accounts, one to manage your UV collection and another to actually watch it, but at least with the latter, you can now use your existing Amazon account. It means that for most people, it will be one less account they have to create and manage, and with Amazon’s reach across devices, it will also make it easier to view your UV collection. For Hollywood studios, this will be a big step towards their goal of limiting the influence of Apple in the digital video space, this being their main goal behind setting up UltraViolet in the first place. This entry was posted on Sunday, October 12th, 2014 at 8:42 pm	and is filed under Copyright, General, High Definition (Blu-ray/HD DVD/4K), News Roundup, Video Technology. You can follow any responses to this entry through the RSS 2.0 feed. Both comments and pings are currently closed.